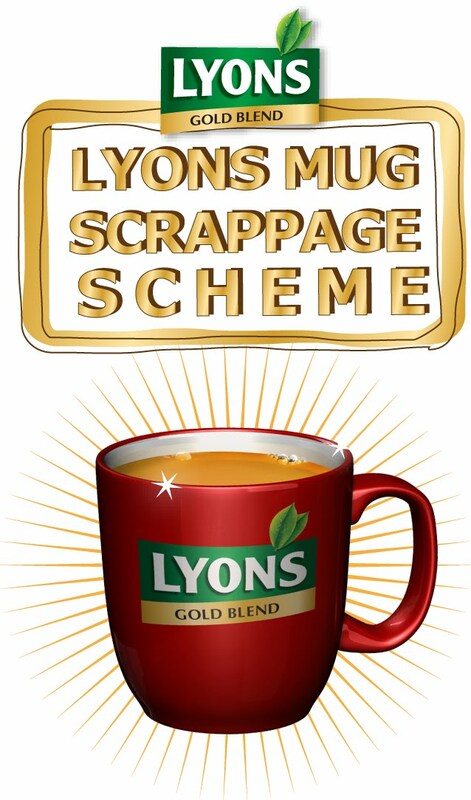 Lyons Tea last week announced the details of their first ever 'Mug Scrappage Scheme' taking place this Thursday, 17th November, at 11am on Dublin’s South King Street (top of Grafton Street). The Scheme offers tea drinkers the chance to trade in their most unwanted mug and walk away with the much-coveted Lyons Gold Blend mug. Every tea drinker has their favourite mug. It's the right shape, the right weight and it always makes the perfect cuppa. However, since the airing of Lyons Tea Gold Blend television advertisement, tea drinkers all over Ireland have been itching to get their hands on the now famous red Gold Blend mug featured in the ads. On top of that everyone has an unwanted mug that they would love to get rid off. Perhaps it harbours unhappy memories from a past love, is too thick-rimmed, too big or too small - the reasons are endless. So, between these two situations the 'Mug Scrappage Scheme' was born. Don't worry though, if you can't make it into the city centre this Thursday, you will be able to get your own red mug with every purchase of Lyons Gold Blend 160 pack this Christmas. For those that can pop in, the Lyons Tea Team will be on hand to accept all unwanted mugs and of course hand out the popular Gold Blend mugs in return, with lots of Gold Blend tea sampling for everyone who comes along. What happens to all these unwanted mugs you may ask. Well, as part of its Mug Scrappage Scheme, Lyons Tea has teamed up with Age Action Ireland to put all tea drinkers’ unwanted mugs to good use by selling them in their charity shops. Tea drinkers can also add to their mug collection through Facebook where there's a chance to win Lyons Gold Blend red mugs in the lead up to Christmas. · Lyons Tea employs expert master blenders and tasters to select the best blends and combination of some of the finest teas from Kenya, Assam from India and Ceylon from Sri Lanka to produce the highest quality tea. Lyons Tea is available from leading supermarkets and retailers nationwide. · Lyons is Ireland’s number one tea brand with 43.9% market share***; Lyons is an iconic Irish brand with more than 100 years of tradition in Ireland, having started business in Dublin in 1902 near Christ Church Cathedral. It is now owned by Unilever Ireland. · Lyons tea is currently working with the Rainforest Alliance - independent experts in sustainability and by 2012 all our tea will only come from Rainforest Alliance Certified™ farms.